In April 2012 we launched a website called Smart Christmas List which became the #1 ranking online Christmas list website in the world. We had had enough of receiving duplicate and unwanted gifts not just for ourselves, but for our children too, and we realized that commonly used online wish lists were not quite cutting it. So we decided to make our own. Our priority at the time was for Christmas. We tried using Amazon wish lists and a couple other services but what we really wanted was an online gift list that could both be shared AND have people reserve the items on it. Out of this simple idea, Smart Christmas List was born. And a LOT of people used it and loved it. Thousands of users signed up each and every Christmas and most of them returned each year. In fact, Smart Christmas List was so popular that we decided that it was silly to limit our users to only use it for just Christmas. Why not use this wonderful tool for any gift list? Therefore, we redesigned and rewrote our database, frontend, and backend from the bottom up and created Smart Gift List, a feature-rich, sleek, easy-to-use online wish list tool for any occasion! 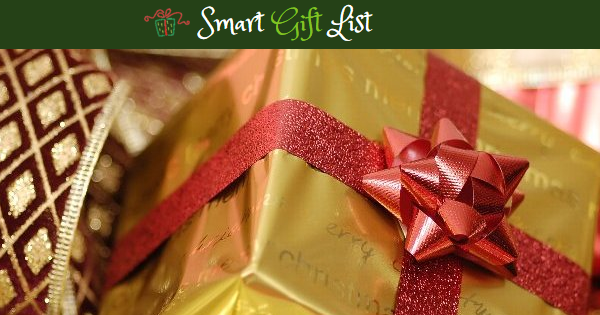 Smart Gift List has all of the features of Smart Christmas List plus so much more. It is not limited to just one list anymore; you can create as many lists as you want, choose the occasion name and date, create lists for your kids, search for and add gifts directly from Amazon, and much more. Our new any-occasion full service online gift list tool uses state of the art web technologies and we spent countless hours designing and developing an interface that is mobile friendly and easy to use. So tell your friends and family to create an account, it's easy to sign up either with an email address or just by logging in with Facebook. Create your list, add some items you want from Amazon, and share your list so your family and friends can start reserving them and do their shopping! Thanks for using Smart Gift List!